﻿Whether you trimmed your trees yourself or you would like to hire a professional, The Big Old Tree Co. can clean up your yard and haul away all the material. Rest assured that your trees are being properly cared for by an ISA Certified Arborist. 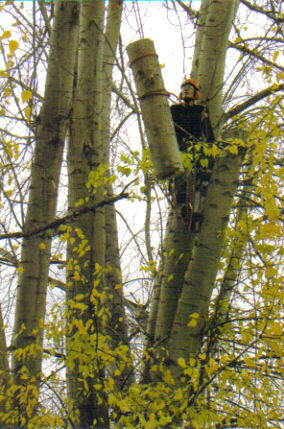 The Big Old Tree Co. always adheres to the highest standards in the industry, the ANSI A300 pruning standard. The final phase of tree removal is a beast all itself, grinding out those stumps. If you want to erase all traces of your tree, stump grinding is the answer. Do you have trees that look out of whack? If you have a question about your trees, a free consultation with a knowledgable certified arborist can be very valuable. The Big Old Tree Company offers unbiased advice and valuable insights into tree biology and industry practices could save you money and put your mind at ease.